Had you stopped by my apartment yesterday, you’d be forgiven for thinking I was some sort of overgrown child, tearing open a Zhu Zhu or a Call of Duty II on Christmas morning. Truly, it’s almost embarrassing to admit how quickly and voraciously I dismantled the package that arrived at my doorstep yesterday morning to get to my new toy inside. 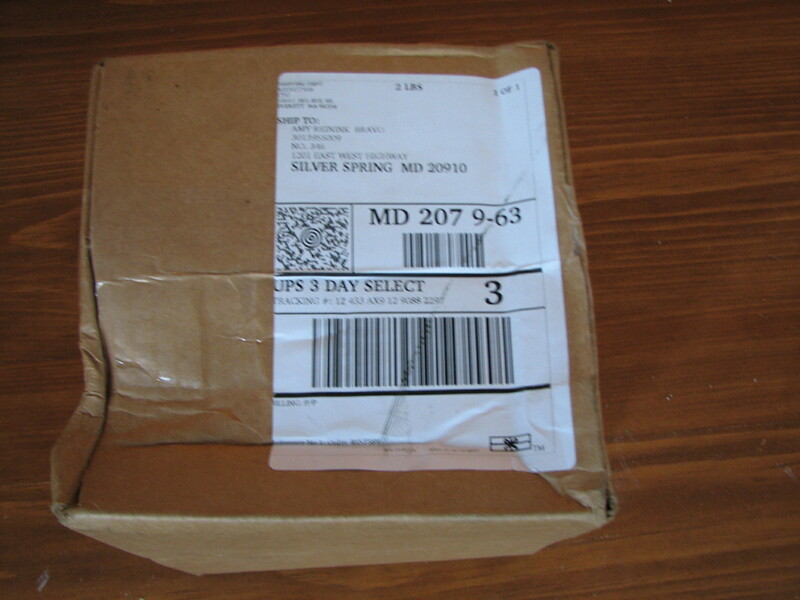 This exciting package arrived at my door yesterday. But this was way cooler than any toy hamster or video game. After years with the cheap but finicky Nike + with my iPod Nano to determine distance and pace, I decided late last year it was time for an upgrade. 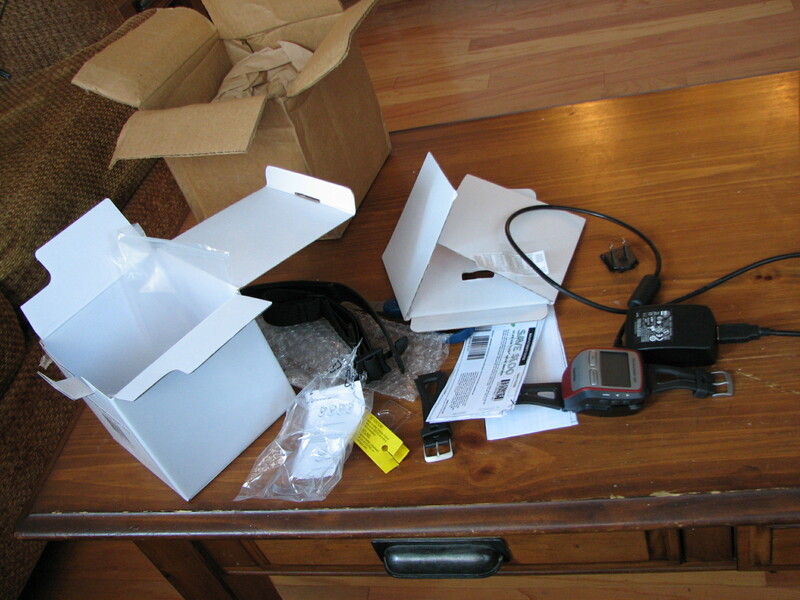 That’s right: My Garmin Forerunner 305 had arrived. Childlike excitement=my coffee table in total disarray. I ran on Wednesday morning, and my beloved FIRST training schedule had me cross-training yesterday. Oh, right. Just wait a day before you try out the coolest running toy ever! 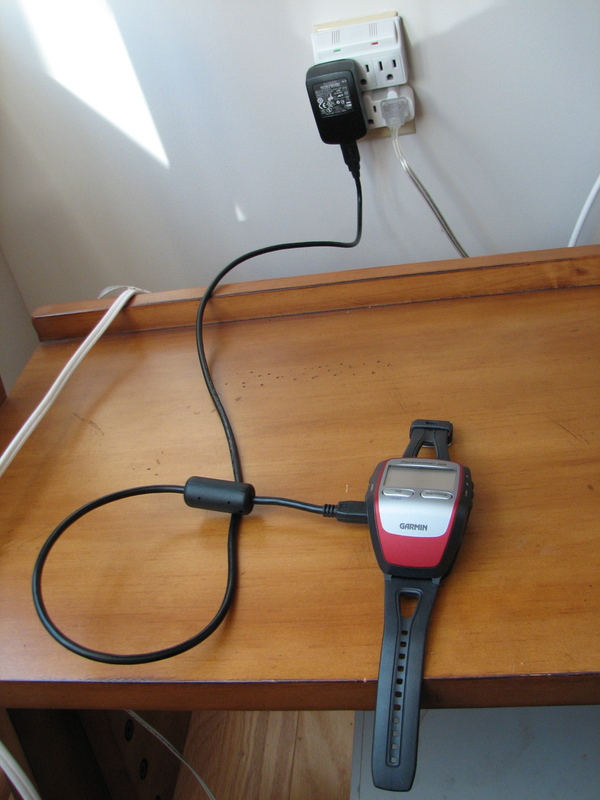 Thankfully, the Garmin needed to be charged before I used it, so I was forced to at least squeeze in a couple hours of work before I took a mid-afternoon run break. I chose one of our usual Pacers Silver Spring Fun Run routes, the Alaska loop, thinking it would be a nice, flat route for a test run. I had no idea that a) this route was so hilly, and b) that my pace fluctuates so wildly on hills! I spent a short period of time demoralized by the knowledge that, while I run an even 8-minute-mile pace or faster on flats and downhills, my uphill pace often rises to more like 9-minute miles or slower. Who knew? I was so annoyed by my performance on the last big hill on Portal Drive, a half-mile doozy I slogged up at 9-minute-mile pace, I turned around and ran it again. And then again. I got faster each time, buoyed by my decreasing pace as announced by my new training partner. Did you get that? My Garmin made me do an unplanned hill workout. This is a little bit like reaching out for a chocolate bar, but having a tool that makes you want broccoli instead. Based on this run alone, the Garmin’s already worth every cent. Final tally: 5.18 miles in 44:14, 8:32 minute-mile pace. 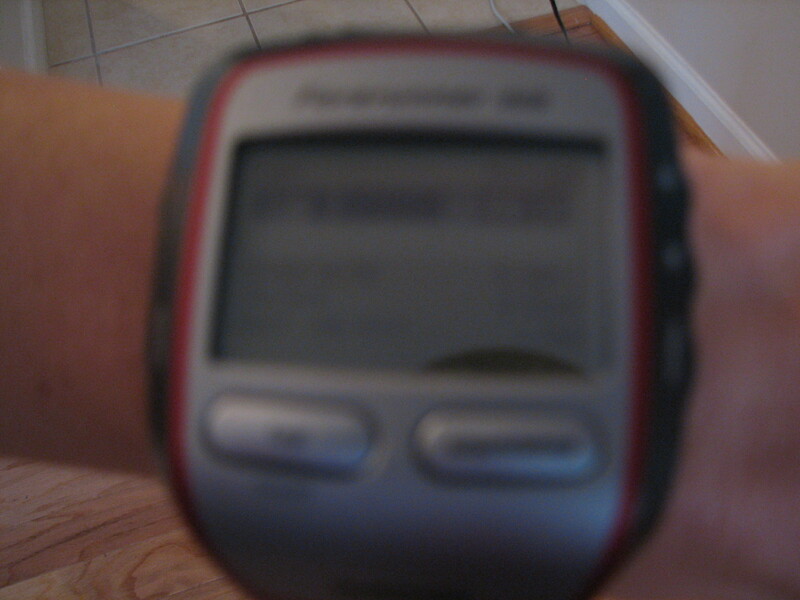 My Garmin-photographing skills are apparently sub-par. Trust me: this was one great run, blurry photo or not! And I agree – the Garmin is a great motivator! But wanting broccoli instead of a chocolate bar? Hmm. I must need to upgrade the firmware in mine. I still want chocolate. I love this post — I hope you maintain this level of enthusiasm with the Garmin. The only time I don’t run with it is on my 3-mile recovery runs. Otherwise, I don’t leave the house without it. I love that you ran that hill until you were happy with your time! !